We all know that September is Childhood Cancer Awareness Month. It’s a 30 day period each year that is set aside for the children, or is it?. It’s a chance for us to make the world pay a little more attention to our community, or is it?. Each year in October, we converse among ourselves about how we did not have all of September to ourselves because the breast cancer people took some of it from us. Let’s think about that for a minute or two. Do people actually take some of September away from us? I submit that we may be giving it to them? Most of our friends and relatives know our personal cancer stories and, for the most part, support us. Creating awareness and asking for support is a lot like selling life insurance, Avon or Tupperware. If you have ever done this, then you know it’s easy until you exhaust your supply of friends and relatives, after that it gets very difficult. 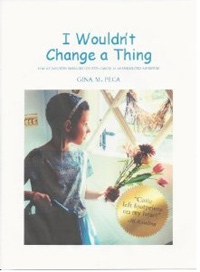 For most of us, when our child was diagnosed, our friends and relatives came running to us. Also, for the most part, all of them, because of their close association with us, now know as much about childhood cancer as we do. Here’s our problem. We need to reach outside of our social circles! The childhood cancer community is mostly talking to each other on Facebook, Twitter, and Instagram. 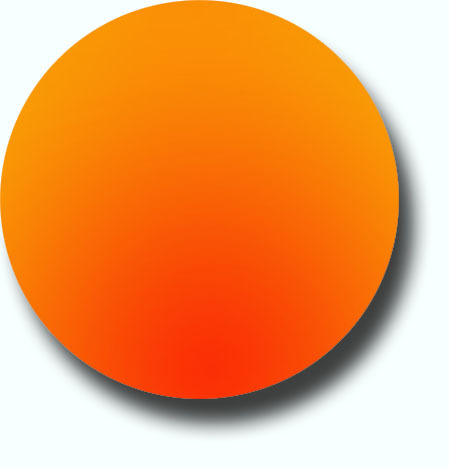 These are great tools for spreading awareness, but we seem to lack the ability to reach outside our own community or our normal social circles. Nothing, absolutely nothing, beats talking to people face to face! This may help in creating awareness and gaining support. Develop an elevator speech. It’s a short talk that you can give, in a minute or less, to a total stranger. Seek out people you don’t know to get them interested in childhood cancer, tell them your story in a nutshell and then give them your Facebook page to “like.” Exchange contact information if possible. Use business cards (printed on both sides) with your information to pass out. Hand them something! Do not let them go away empty handed! Take some time off Facebook and go on a shopping field trip! 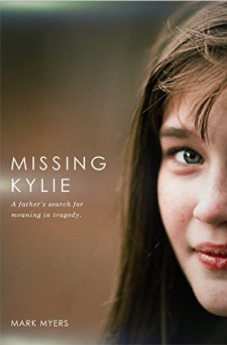 Contact everybody you buy stuff from and tell them how much it would mean to you and your family, child, hero, and or survivor to see GOLD in September. Give them your card. Let them know that childhood cancer people shop in their store and would appreciate some consideration in observing Childhood Cancer Month by posting a sign or making a display. Ask them now. You could even get kids to make signs (they would love to) to give to the merchants. Think about it. How can a merchant turn you down? Think about how many people will see the message if you are successful in getting a sign in that high volume store or restaurant! When it comes to seeing gold ribbons on store windows, or in advertisements, that’s another story. Sorry to burst anybody’s bubbles here, but the people who make or sell the very stuff you use and spend your money on everyday do not read our Facebook posts. They do not “like” our Facebook pages, much less our posts. They like our MONEY! 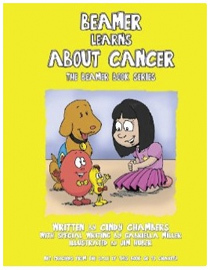 They are not aware that childhood cancer is a problem because it has not yet affected their business. For the most part, until something has a measurable or perceived effect on them financially, businesses will not act. We must show them with our words and actions that it will have an effect on their future business. If you haven’t done so already, it’s really too late for 2018, but during the September, you can look for opportunities to write to companies (Pampers, Huggies, Enfamil, etc.) who have a vested interest in children and market their products toward them. 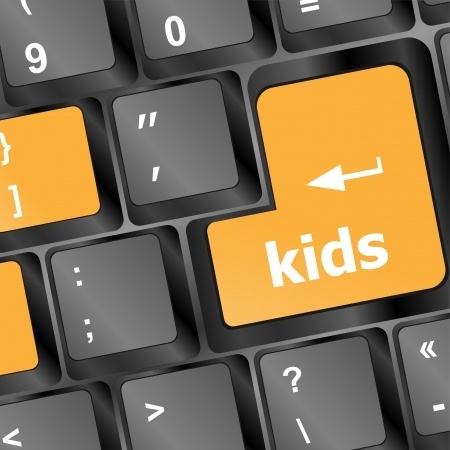 All the things children use should be targets of contact by email or letter. Maybe in September 2019 or 2020 we can see more gold on the merchandise that is marketed for children. Write them this September and tell them how disappointed you were that they did not participate even though they market to children. 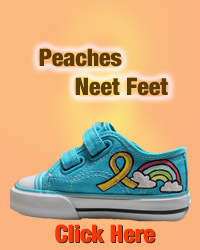 We should fully support any business that is promoting childhood cancer awareness. 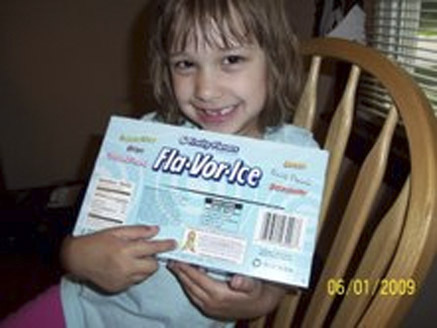 Companies like FlaVorIce should be supported for their efforts to help increase awareness of childhood cancer. Use them as an example of what we would like to see on products they market to kids. By the way, FlaVorIce does this 365 days a year, not just in September. Why not ask those that aren’t, “Why not?” We need to be heard OUTSIDE of our own community! Read the contact information on their package and CONTACT THEM and tell them to have some gold stuff in SEPTEMBER. 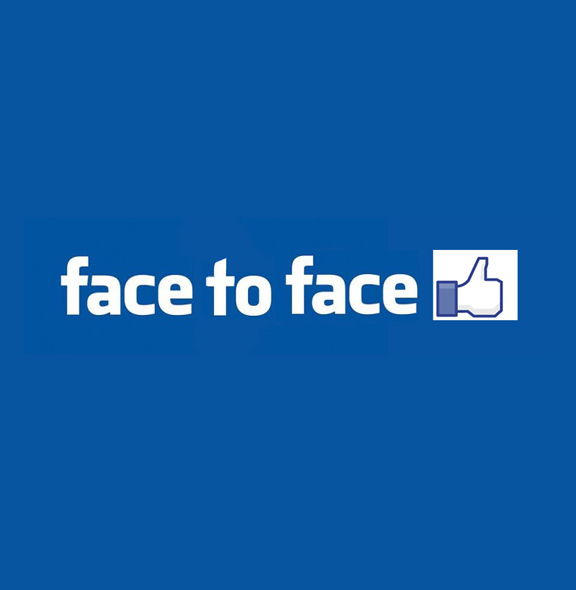 Many of the businesses you know well have Facebook pages. Think of the possibilities! Imagine the impact we could have in September if we learned from the breast cancer people how to get outside of of own community and shout to the world about the number one disease killer of children. Wherever you see pink in October is an opportunity for us to have Gold in September of next year. 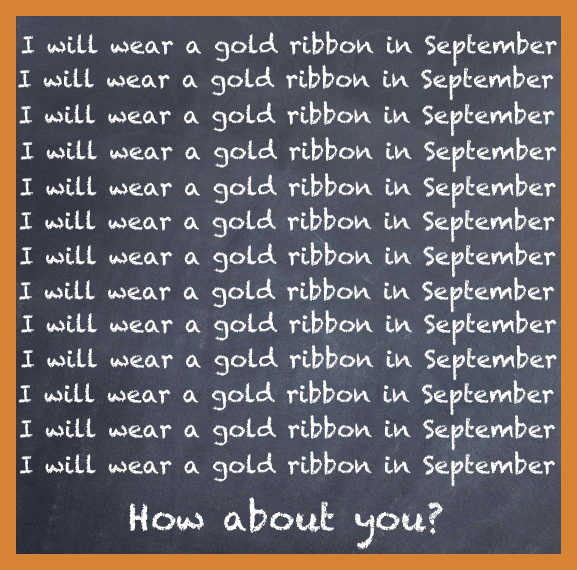 Let’s work together so childhood cancer owns September each and every year! 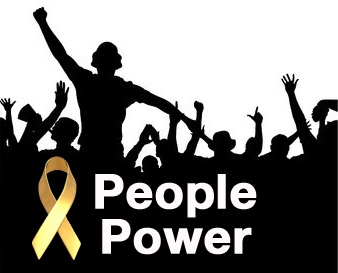 Nothing is impossible If we stick together and get loud. About eleven years ago, I was with my middle daughter, JoAnna Baber on our overnight shift at Rady Children’s Hospital in San Diego, CA watching over my 18 month old grandson and her nephew, Conor after he had lifesaving surgery to remove a neuroblastoma tumor wrapped around his aorta. We were providing some relief for Beth Anne Baber and Nick, parents of Conor. Our job was to make sure he did not pull out any of the wires and tubes that were connected all over his body. In the PICU at 3 AM it’s pretty quiet, mostly beeps from the equipment. I will never forget the night I heard a horrible sound from across and down the hall of uncontrolable crying and sobbing coming from the parents of a child who had just died of cancer. 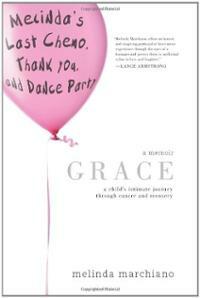 That single incident is embedded in my memory and has driven me to try to find ways to help kids with cancer. My unforgettable experience that night made me very receptive to one woman’s life long mission today. Suzanne Gwynn, a most favorite person of mine and Conor’s mom, is a powerhouse who has been a critical care and oncology RN nurse to children for about 30 years. People do not want to listen to her because she speaks of the very sad and unspeakable… children dying. Not only dying, but most kids are having to die in strange places, like hospitals. As Suzanne says, children dying is unimaginable, childhood cancer is not your world…until it is, and then when it is, it’s absolutely devastating to you, your child and your entire family. Suzanne is trying to build a palliative care/hospice home for children. It’s not just a good idea, it’s really our responsibility as adults to ensure that our children are well taken care of, even when at death’s door. The typical hospice does not know how to help children die because they are not supposed to. In Suzanne’s Ladybug House​ palliative care /hospice it will never be just about dying, but it will be about living all the way to the last breath. Editor’s Note: CAVATICA completed Beta testing and went live on October 17, 2016. This is a huge step in the right direction to eliminate silos of data and enter a new world of data sharing. The complete story can bed found here. I have a rule that I follow—that if a parent who has lost a child to cancer needs a hand, I will find a way to pitch in—no matter what. Of course, life is busy, there are never enough hours in a day; however, those who are fighting to save the lives of children despite losing their own child are given high priority status. So when my friend (who I met via this blog) Amanda Haddock from Dragon Master Foundation asked if I would be interested in attending the Children’s Brain Tumor Tissue Consortium (CBTTC) Annual Investigator/Foundation Meeting in New Orleans, saying yes to an excursion to the Big Easy was very easy. I figured I could go, take notes and write them up, and thus make a tangible contribution to a cause that I care so much about. I know so much about so many different types of cancers, but so little about brain cancer. My family has been hit by various adult cancers, but no brain tumors or childhood cancers to date—knock on wood. Little did I know how much I would learn at this meeting. I feel like I’ve gained more than I could possibly give back. So, just briefly, the CBTTC is a collaborative research program led by leading pediatric brain cancer clinicians and researchers across 8 institutions, with The Children’s Hospital of Philadelphia (CHOP) as the coordinating center. I’ve included a 1-pager (click here), for those who are not familiar with the CBTTC research program and objectives. The meeting captured a lot of heavy duty science—and I mean heavy, hard-core science—not only with respect to tumor biology and genomics, but also computer science and informatics. I’m sure almost everyone in the audience had some of those deer in the headlights moments, given the subject matter being presented at any given moment. Attendees included representatives from several non-profit foundations, neuroscientists and other laboratory/clinical scientists, pediatric neurooncologists responsible for day-to-day clinical care, and computing/informatics professionals. As someone with a background in oncology pharmacy, the computing/informatics part is most foreign to me, which is likely true for most clinicians and non-computer scientists who speak a very different language than computer scientists. In terms of my note-taking, there was so much technical information that I am in the “process of processing”. But in the meantime, I wanted to share with you – members of the childhood cancer awareness community – some of the big takeaways. First, unless you have been living under a biomedical rock, you are familiar with the VP Joe Biden-led Cancer Moonshot. If so, you have heard lots of talk about breaking down silos, collaboration, big data, genomics, immunotherapy, and precision medicine. Lots and lots of talk about share, Share, SHARE in the interest of accelerating cures and saving human lives from the devastation that often accompanies a cancer diagnosis. Well, the bottom line is, that the CBTTC is already doing these Moonshot-esque things—and have been doing these things. This “sharing” is in no way a new concept for the CBTTC. Not only are 8 institutions working together to break down those silos, they are more than happy to share, Share, SHARE their data with institutions outside of the CBTTC network. Their willingness and ability to do so stems from a genuine desire to save lives—save them while sparing them from the long-term and sometimes life-long toxicity of treatment regimens that are unlikely to help them, based on the characteristics of their own unique tumor biology. We can do things now, in the year 2016, that simply couldn’t be done before. On that note, while the CBTTC has been collecting high-quality biospecimens for several years, simply collecting tumor tissue isn’t enough from a saving lives standpoint. So they have not only been collecting tissue from all brain tumor types, but they have been linking that tissue to long-term clinical and genomic data. Then, by creating an open-access specimen and data informatics system, an environment for worldwide collaboration can be put into place. And it has been put into place already, with the introduction of CBTTC’s CAVATICA—a new cloud-based environment for securing storing, sharing, analyzing large volumes of pediatric brain tumor genomics data. CAVATICA is named after Charlotte A. Cavatica—the barn spider of the children’s story Charlotte’s web. It’s not puffery to say that real advances can and will come from this type of comprehensive genomics/clinical database. As I learned at the meeting, the CBTTC already has several commercial partnerships in place to develop what we might call “apps” to make sifting through such large volumes of data more user friendly. They have also partnered up with the Pacific Pediatric NeuroOncology Consortium (PNOC, network of 15 children’s hospitals that conduct clinical trials of new therapies), creating a critical bridge between science and clinical medicine. CAVATICA is so innovative and the partnerships in place are so very timely, fitting right into the Cancer Moonshot. So takeaway 1 is really that the CBTTC is already doing what researchers should be doing in the interest of saving and improving human life, and that’s very inspiring. Which leads me right to takeaway 2, which is critical for everyone to know and understand. CAVATICA may have started as a pediatric brain tumor database, but it is being developed to expand to any and all tumor types. This includes not only other types of childhood cancers, but also adult cancers. And this is a truly awesome thing, for reasons that may not be obvious on first blush. First of all, discoveries for children with brain cancer will be further accelerated by the ability to compare and contrast the genomic patterns in those tumor samples with those from other childhood and adult cancers. Without having those other cancers in the mix, critical patterns that can lead to new targets for treatment can be missed. Secondly, I hope that we can all agree that all patients with cancer deserve curative treatment, no matter what type of cancer or what age the patient is at diagnosis. All cancers represent some type of DNA damage. We should be able to reverse that damage, more effectively and user safer patient-specific therapies. Because I am all about “cures for all cancers”, I love the CAVATICA database and the vision behind its pioneers all the more. I believe that now is the time to break down the childhood vs adult cancer silos, so a big Thank You to the CBTTC for seeing the big picture in their big data plans and designing CAVATICA as something that we can all get behind. Lastly, perhaps the most shocking takeaway for me is this: this high-tech effort, requiring intersection of various types of science and clinical medicine, has been and continues to be funded in its entirely via donor support. 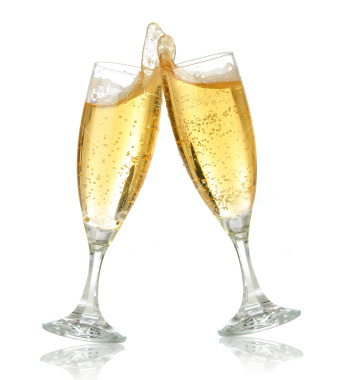 Without the enthusiasm and generosity of the various non-profit foundations, CAVATICA would not exist. And it is not lost on me that children, many of whom have lost their lives, are the ones making this happen—these kids include Kortney Rose (age 9 when she passed away from brain cancer after 4.5 months), David (age 18 when he passed away from brain cancer after about 2 years), Christopher (age 7 when he passed away from brain cancer after 9 months), and Thea (diagnosed with brain cancer at 4 months of age and continuing her fight at age 9, having been in treatment almost her entire life), and so many other foundations, families, and donors who are stepping up to make the vision of the CBTTC a reality. I encourage everyone reading this to learn more about the CBTTC in particular and figure out ways to collaborate on the Cancer Moonshot in general—which is far more complex and for which far more is at stake relative to the regular “Moon” Moonshot. Whereas the moon is one big static thing, curing cancer will require precise rockets specific to millions of big and little people. Editor’s Note: Update September 28, 2018: Congress Heard You Again! New research funding opportunities for childhood and AYA cancer are now available AND the FY19 Defense Appropriations Act provides $90 million (M) to the Department of Defense Peer Reviewed Cancer Research Program (PRCRP) to support innovative, high-impact cancer research. The managing agent for the anticipated Program Announcements and Funding Opportunities is the Congressionally Directed Medical Research Program (CDMRP). 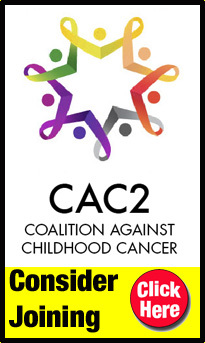 Funding opportunities are available for Children’s, Adolescent’s and Young Adult’s cancers. What is a CDMRP and why do adolescents and young adults need it to fight their cancers? The Department of Defense (“DoD”) Congressionally Directed Medical Research Program’s (“CDMRP”) mission is to target critical gaps and transform healthcare through groundbreaking biomedical research in response to its stakeholders—the American public, the military and Congress. The National Institute of Health (“NIH”) defines adolescent and young adults (“AYAs”) as persons between the ages of 15-39 years old. The #1 disease killer of AYAs and children is cancer. According to the U.S. Census Bureau, the AYA and pediatric populations comprise more than half (53%) of the American public. According to the DoD, 2.1 million AYAs make up 86% of the active population serving in the U.S. military. When you factor in their spouses and children, more than 90% of America’s active military members and their families fall into the AYA and pediatric population. According to the NIH, AYA and pediatric cancers are significantly under-researched, leading to poor outcomes including high morbidity and mortality. The CDMRP FY15 $1 billion budget features line items for prostate cancer, ovarian cancer and lung cancer totaling $110 million, for these cancers, with a median diagnosis age of 66 years old. The median age of AYA and the pediatric population fighting cancer is 20 years old. 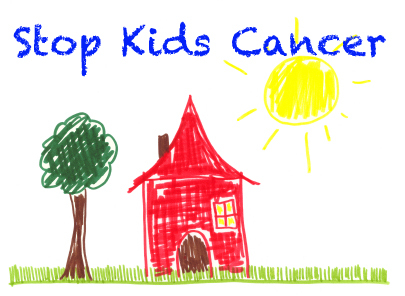 The average age of children dying from cancer is 8 years old, and they lose an average of 71 productive life years. For the first time, in FY2017, line items were added in the CDMRP for AYA and pediatric cancer, the #1 disease killer of America’s young active military service members and their families. The DoD CDMRP is in the unique position to make groundbreaking, transformative discoveries that positively impact the healthcare for 90% of our nation’s active military forces and 53% of the American population, filling the critical gap by investing in research for cancers that specifically affect AYAs and their children. The NIH says there is a need for basic science, epidemiology and clinical trials to improve survival rates for AYAs and children fighting cancer. The Defense Appropriations Subcommittee was asked to approve a CDMRP to include a $30 million line item specifically for Peer-Reviewed Young Adult, Adolescent and Pediatric Cancer Research. This was approved for 2017 for the first time, and approved again for 2018. Applications are in the process now for 2019. On September 12, 1962 President Kennedy delivered his famous “moonshot” speech. Declaring that as a nation, we would focus vast resources to landing a man on the moon and safely bringing that man back to earth. It was ambitious and the roadmap was not fully developed. President Kennedy of course never lived to see that dream come to fruition; however when it did it is now even more fitting and apropos that the man who ultimately first set foot on the moon lost a child to cancer himself. Armstrong’s young daughter died from what most of us in the childhood cancer community now believe was DIPG, the same type of inoperable brain tumor that ultimately took the life of my daughter Alexis. Fast-forward to the President’s recent State of the Union address delivered on January 12, 2016. He announced that once again the United States would embark upon heading to the moon. Except this time, the moonshot refers to the Emperor of all Maladies; Cancer. With Vice President Joe Biden steering the effort, the goal is to end cancer, as we know it. The cancer moonshot was announced with the hopes of infusing $1.0 billion dollars to the effort. In the 2017 budget that the White House prepares, there will be a request for an additional $755 million increase in funding for cancer research generally as well as the oversight of an additional $195 million in new funding provided to the , . The outline of the moonshot was released by the White House and can be found here. 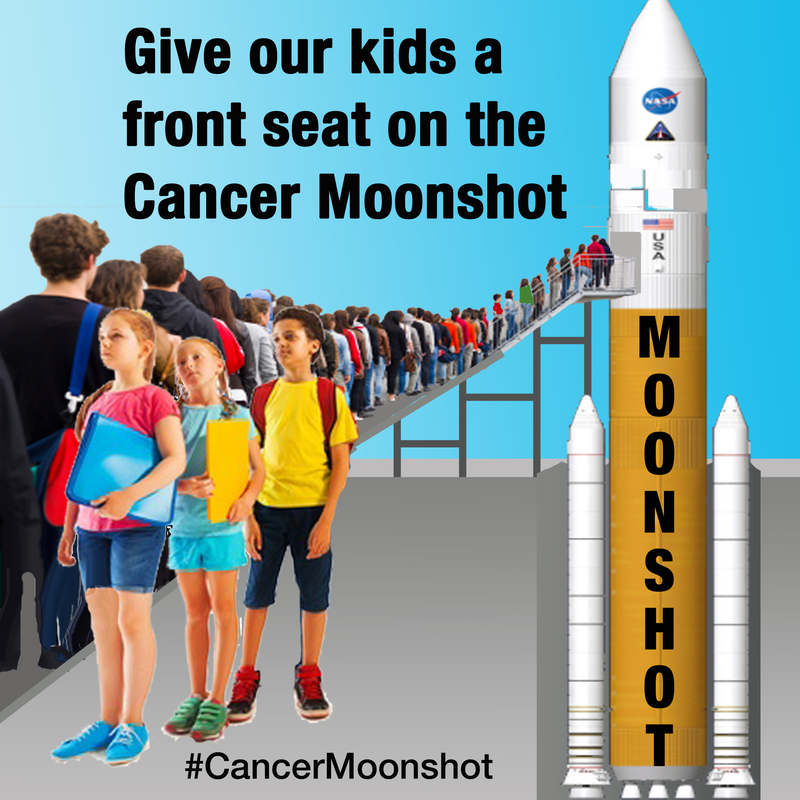 For the childhood cancer community, a simple question surfaced: Are our children going to the moon? The news release the White House issued does specifically mention pediatric cancer. 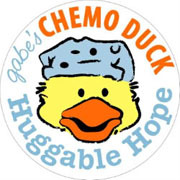 The outlined effort for pediatric cancer, as denoted in the release, is aimed at developing new technologies for drug libraries for screening to discover new treatments; efforts to increase tissue and tumor specimen collection for the “rarest” childhood cancers; and the collection and inclusion of increased clinical data to assist clinicians in the future course of treatments. 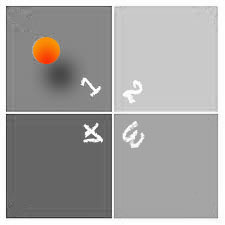 Based upon this thumbnail outline, it is difficult to tell whether or not our children will set foot on the surface or whether they will be like Michael Collins, who stayed in the command module poised to pick up Armstrong and Buzz Aldrin after they completed the first walk on the surface in 1969. In theory the efforts outlined in the release would certainly make a positive impact in the fight against childhood cancer. Creating a larger drug library for increased efforts at drug screening is critical to determining whether or not existing drugs, compounds, and even potentially biologics, demonstrate efficacy upon specific cell lines, tumor types, genetic mutations or other identifiable targets. There is a more pressing and underlying issue that needs to be addressed, as it exists like a pink elephant in the room. Specifically, it is the issue of drug development and availability for childhood cancer. The ability to conduct more substantial drug screening, dependent upon access to the drugs and compounds, is the first component of unlocking more effective, less toxic treatments (of course backing up even further identification of proper targets to utilize for drug screening and targeted therapies is beyond essential). The secondary component of the equation is ensuring that these drugs and compounds, once the efficacy is demonstrated in the preclinical setting, are available to be initiated in clinical trials or available for clinical use. Anything less in this overall effort, in my humble opinion, ensures that children, like Michael Collins, will remain in the capsule waiting for the others to arrive back inside. Ensuring greater data sharing either in the research or clinical setting, collection of increased epidemiology data, and tissue collection are of course necessary components to increasing the overall understanding of biology, incidence rates and treatment efficacy. Nevertheless, the key question remains, will more clinical trials be initiated for children with the drugs that are screened if the preclinical data “de-risks” the use of any of those drugs? Children with cancer without a set frontline treatment protocol are usually left without many options. For recurrent or metastatic disease, the options are even more limited. I view childhood cancer like a bicycle wheel full of spokes. There are many spokes on the wheel and individually the spokes represent separate issues to be addressed. No single spoke is sufficient enough that if it was the focus of the moonshot it would be a “cure” for all forms of childhood cancer. Accordingly, placing bets on which spoke to focus upon is obviously very difficult. There are some commentators that have already opined that the amount of money to be dedicated to the overall effort is insufficient. This is probably very true. And, thus as we drill down to where our children fall in this moonshot, it seems likely that the overall impact will not be significant. Of course it is impossible to provide any reasoned assessment of the overall efficacy of this effort at this point in time. It is easy to criticize, but such criticism is presently misplaced. In the end, any additional focus and resources dedicated towards childhood cancer is thoroughly welcome. Neal Armstrong reached those first monumental steps by carrying his grief with him and allowing those emotions to keep him focused. 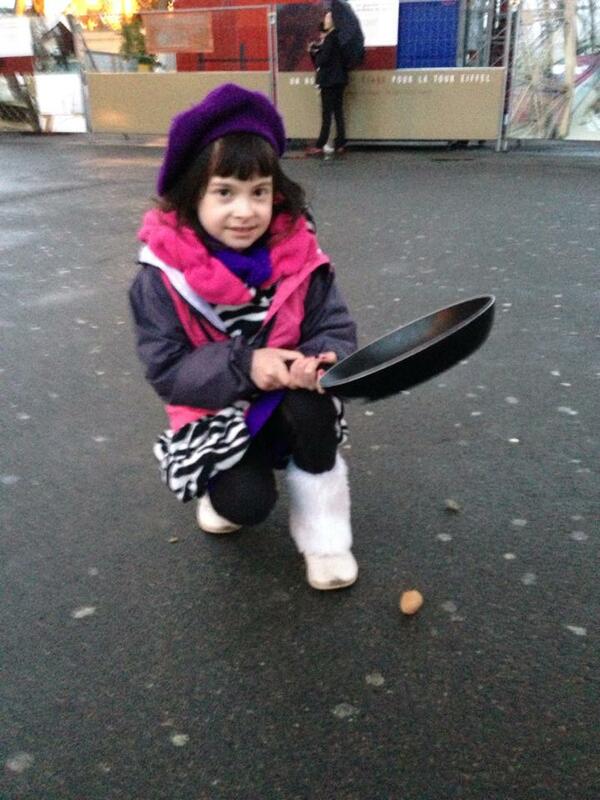 In many respects, children with cancer have already set foot on the actual moon. It is up to us advocates to continue to ensure that children with cancer are always brought out of the command spacecraft and firmly planted on the moon. And it is up to us advocates to continue to work effectively to create opportunities for drug discovery, development and availability. An identified target is key to determining effective treatments, but there is an underlying component to the useful nature of that data. Unfortunately, if those treatments are not made available, then children with cancer can only continue to look at the moon as they circle it waiting for a turn to take that one giant step. President Obama called for an end to cancer in his State of the Union Address to the nation this year. He tasked his own Vice President with the job and since then the buzz word “Moonshot” has offered renewed hope for millions of Americans. E very one in our childhood cancer community is very excited about Joe Biden’s very aggressive initiative. He calls it, the Cancer Moonshot. Mr. Biden’s son Beau died of brain cancer a year ago. Like all of us affected directly by cancer, it’s made him extremely passionate and focused about finding cures for this terrible disease. No parent should ever see a child die from cancer. Mr. Biden wants to approach cancer research with real gusto, the same way America came together to successfully put a man on the moon in the late 60’s. The Vice President has spent several months visiting a host institutions involved in finding cures and will visit more in the future. Along the way, he has found such obstacles as silos that resist information-sharing, territory wars and competition among researchers. He will also find that some government regulations meant to protect patients and improve drug development, are also a few more major impediments that will need to be cleared to get this “Moonshot” off the ground. The Vice President identified two major goals: 1.) Increase resources — both private and public — to fight cancer. We are totally on board with the Vice President! But, first we want to make sure all moon mission workers are aware of the major obstacles that childhood cancer has faced ever since President Nixon first declared War on Cancer in 1971. The Vice President wants to hear our stories of how cancer has affected us and our families. The White House has provided a site to collect all the stories. We would be remiss to not urge everyone in the childhood cancer community to send them in. We need to let Joe Biden know that childhood cancer is not rare, but is a major national problem. One way we can make a point is to have a excellent response in submitting our stories. First: We need to make sure that everyone on the moonshot mission understands that childhood cancer is not the same as adult cancer. Kids are dying from twelve weirdly named cancers that have over 100 subtypes and none of them are breast, prostate, lung, colon, or other familiar sounding adult cancers. Second: Everyone at mission control needs to be acutely aware that childhood cancer is the number one disease killer of kids. It was in 1971 and it still is. As a matter of fact, the rate of incidence has increased since Mr. Nixon declared war on cancer. Third: When it comes to cancer research funding, all twelve of the childhood cancers lumped together receive less funding from the National Cancer Institute than prostate cancer alone. Nixon’s war on cancer has been going on for 45 years! Our children have been left behind. There have only been 3 drugs developed specifically for childhood cancer in the last 45 years compared to 60 new cancer drugs for adults in the last five years alone! Today, after all those years, we have to embrace adult cancer drugs which are toxic and cause 95% of the survivors to have very serious health issues. Parents are shaving heads, selling lemonade, baking cookies, organizing walks and races to try to add more research funding. NCI has done little to address the such recalcitrant cancers as DIPG and others that are so prominent in our community and continue to take our children daily. 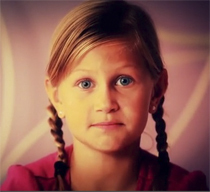 A child whose life is taken by cancer loses nearly 70 years of life! Forth: We have waited and waited to see progress. We are tired of waiting only to see our government continue to call this disease rare and therefore not a high priority. Children should be our highest priority. We are tired of having leaders point to the “tremendous progress” we have made in childhood cancer survival rates in the last 50 years. Must I remind you that we are comparing today’s survival rates to fifty years ago when we were doing absolutely nothing but sending kids home to die. The truth is we have made little to no progress in the last ten years. To double this progress over the next five years as the Vice President said won’t mean much in the childhood cancer arena. We need to do much, much more than we have in the last decade. We should take the attitude that we are not going to accept status quo on this Moonshot effort. Children deserve priority placement and a first class ticket to progress that is expected on this journey. It’s about time! We don’t have more time. Enough children have died from this horrible disease! A week after this post was published, the White House issued a Fact Sheet with more detailed information. While we are very pleased and grateful that pediatric cancer was identified as one of the moonshot’s research opportunities, a fact with which we certainly agree, we will continue to question priority setting while monitoring levels of investment, and breadth of investigations. One thing Nixon’s 1971 War on Cancer taught us is to not take anything for granted. We can not afford to let our children get lost in the shuffle. Last night I went to a bereavement group. It’s for parents that have had a child die. I actually like to go to these meetings. There are no pretenses. We are all walking down the same path. We understand each other’s pain. When we ask, “how are you?” it has quite a different meaning and context than when someone who hasn’t had a child die asks the same question of us. We had such a large crowd last night that we had to break into two different groups of moms and dads. Some with a spouse, others without. Some were young, first time parents whose child died as an infant. Some, like me, have more than one child. Others had a child(ren) after the death of their first. We had several elderly people (one gentleman was 90 and his daughter died years ago when she was 55). Some kids died from disease while others were from car or motorcycle accidents. We have quite a few suicides in our group. We would have never met outside of this bereavement group. Our lives wouldn’t have crossed paths. But tragedy brought us together. This group has made me more compassionate. I had read about the death of a teenager who jumped off the ninth floor of a parking garage a couple of months ago. Now, her mother and I are sitting next to one another. Her daughter is no longer some abstract story that I read about in the paper. Now she is real. Her mom is a living (or trying to), breathing person that can’t fully grasp her circumstances. I feel her pain rolling off her. I understand her need, to avoid, acknowledge her new reality. She looks to me for solace. I’ve walked her path. Some of the children have been gone for 15, 20 or more years. I look to those parents for solace and guidance. These are the people that give me the most comfort. I’ve had more people than I could count tell me to “give it time,” “it’ll get easier as time goes on,” “time heals all wounds”… I could go on and on with all of the asinine cliques that have been said to me about feeling better the further away we get from Gabriella’s death. The simple truth is that it doesn’t get better. I think that “it gets easier” for the people that are saying those things to me because it’s not so fresh and raw for them. But, as I turn to the parents whose child has died a decade or more ago and as I hold their hand or pass them a tissue as they cry, I feel relief with their grief. Relieved, because my feelings are validated that my love for Gabriella won’t fade as we get further from her death. All different but, the same. The same grief. The same despair. The same longing to hear our child’s voice and laughter, to hug and kiss them, to have another conversation. We miss our kids. “As Our Children Wait, Part 1” discussed the Children’s Health Act of 2000, which was passed after extensive work by a White House task force recognized concerns about children’s health. The Children’s Health Act required the National Institute of Health (NIH) to carry out many projects including focus on improving outcomes for children with cancers, creating a Pediatric Research Initiative and requiring facilitation of pediatric research. The Children’s Health Act authorized the NIH to conduct the National Children’s Study. The NCS was aimed at determining environmental influences that might impact children’s health, with the intent that understanding children’s diseases would aid in finding cures or preventing conditions from occurring in children. Congress intended that the study would address the major effects on and high costs of child morbidity due to potentially preventable conditions in the U.S. The NCS proposed to examine the effects of environmental influences on the health and development from birth to age 21, of a cohort of 100,000 children. In 2007, five years later, the Research Plan for NCS was completed and reviewed by an outside panel and Congress appropriated funds for implementation. 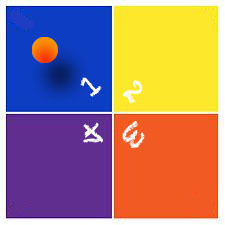 Real implementation of the NCS and sample recruitment, was scheduled to begin in 2008 with addition of more Vanguard centers in 2009. There were delays during 2008 and 2009 and when real recruitment began in 2009-2010 it was revealed that the intended approach was going to be more costly and time consuming than planned. In 2011 the Program Office begin testing alternative recruitment methods. In 2013 the study design was revised with a 2015 start date set for the main study. The revised study was seen as having problems with concept, methodology and administrative challenges continued. 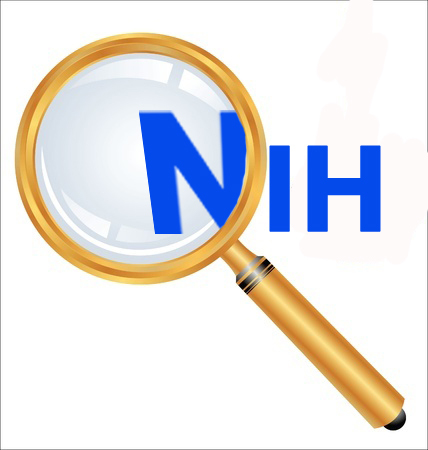 In its 2013 budget request, the NIH decided to reduce the budget and scope of the children’s study. Subsequently, expert advisors of the Advisory Committee begin to resign. Ellen Silbergeld an environmental scientist resigned charging that the study had been “significantly abrogated” by managers at NIH. Congress required NIH to contract with the National Academy of Sciences to conduct a review of the NCS, the Academy published this review in June 2014. They stated their “deep concern about the overall leadership and management of the NCS,” but concluded that the study was not beyond saving and identified feasibility and pathways for success. NIH leadership ignored these recommendations. In the past two decades since the White House task force identified trends in children’s health issues, passage of the Children’s Health Act, design of the National Children’s Study not much has happened in terms of childhood cancer research. During this time more than 300,000 children have been diagnosed with cancer, more than 40,000 children have died, tens of thousands of children suffer life altering impacts of treatments largely due to the lack of research and related development of pediatric drugs, cures, treatments, protocols. The children wait … and without significant investment in research now, children will be in a similar place two decades into the future. Some critics of the study say that researchers spent years debating which questions to investigate. It is reported that while 100 scientific papers based on pilot research have been published many focused on methods of study design and data collection rather than the original intent of the study. An advisor from Brown University recently stated, “At some point, you have to come to grips with reality: this much time, this much money, make it happen.” At some point we may have to consider that brilliant scientists may not be the best business managers, budget managers, the best CEOs. What we often see is analysis paralysis, over-analyzing, too many detailed options, a lack of choice. The cost of decision analysis exceeds the benefits that could be gained by enacting a decision or pursuing a plan. There is no awareness that time is money, and in this case, time is also the lives of our children. The National Children’s Study struggled for over a decade and cost tax payers more than $1.2 billion, there’s little to show for this effort. 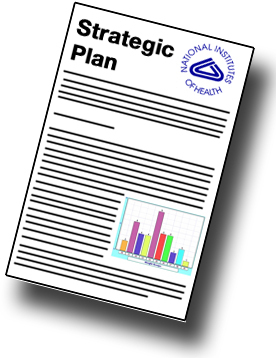 In the first 7 years, NIH spent $54 million on planning. In 2007 Congress approved $69 million to start the project and continued appropriations through 2015. 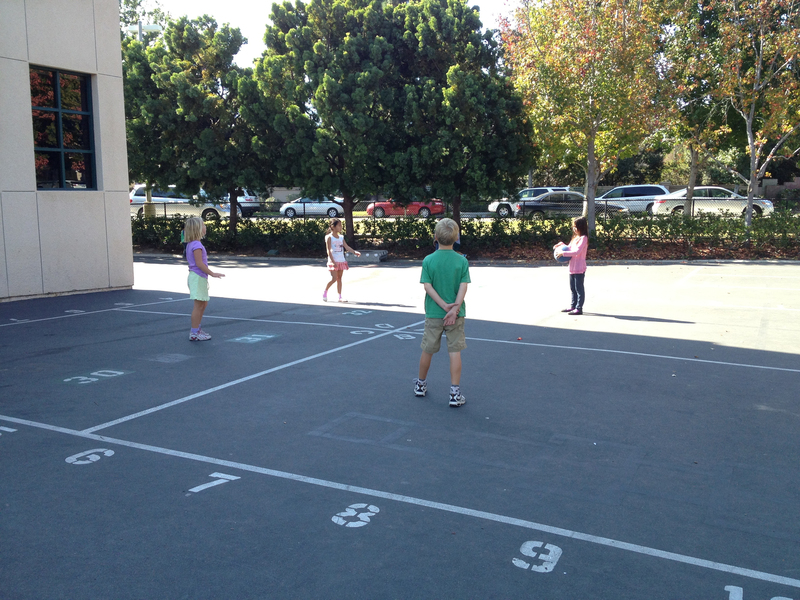 A cohort of 100,000 children was envisioned in 2000 and 15 years later only around 5,000 children were enrolled. In the private sector there is no doubt what would happen with this type of management, heads would roll. In this instance there seems to be no accountability, the leaders not only do not get penalized, but they make the decisions on how to spend money originally intended to positively influence outcomes regarding children’s health. Questions remain about what NIH will do with the appropriations provided in 2015, and what happens with the original legislative intent of The Children’s Health Act. In 2015, Congress appropriated $165 million to carry out the work of the NCS. Congress directed in Bill language for 2015 …”that $165 million shall be for the National Children’s Study or research related to the Study’s goals and mission, and any funds in excess of the estimated need shall be transferred to and merged with the accounts for the various Institutes and Centers to support activity related to the goals and objectives of the NCS: Provided further, that NIH shall submit a spend plan on the NCS’s next phase to the Committees on Appropriations of the House of Representatives and the Senate not later than 90 days after the date of enactment of this Act.” The legislative date for the spend plan was March 14, 2015. In January 2015 NIH presented a plan for reallocation of the funds indicating that Bill and report language (there is no report language on the Congress.gov website) direct NIH to maintain the mission and goals of the NCS with flexibility on how to carry this out. A slight stretch! expand examination of environmental influences on later child development by leveraging extant programs. The proposal to spend 2015 funds seems to be more of the same. What are the expected goals, objectives, results of these three initiatives? Are these projects already in place or new programs? Are these short term projects and is funding sufficient to deliver real results, outcomes? 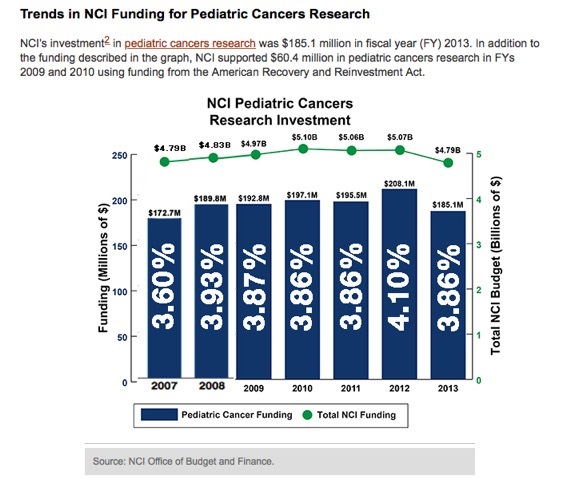 Why wouldn’t NIH use these funds to support pediatric research grant proposals in keeping with the original legislation? Was there consultation with other agencies, as required in the original legislation, with external entities? The legislative intent of the Children’s Health Act was concern about children’s health and rising rates of childhood cancer. There has been virtually no progress over the past 15 years. A simple analogy — we have a pipe leaking in our home, we put a bucket under the leak and go down to the water company to determine the external source that might be causing the pipe to leak. In the meantime the bucket overflows, the basement floods, the structure begins to rot and mold. Childhood cancer is in a similar boat, the children wait for cures while we seek reasons why children are getting cancer. We need cures now, studies simultaneously but don’t ignore the current problem – children are suffering, children are dying. Children need specific childhood cancer research to develop pediatric cures. Many current treatments are a guessing game, using downsized adult protocols, developed for adult cancers to treat kids. THE INCIDENCE OF CHILDHOOD CANCER IS RISING, IS THERE A PLAN? NIH does not seem to have a plan, or at least any plan about childhood cancer research goals that are transparent to the public. 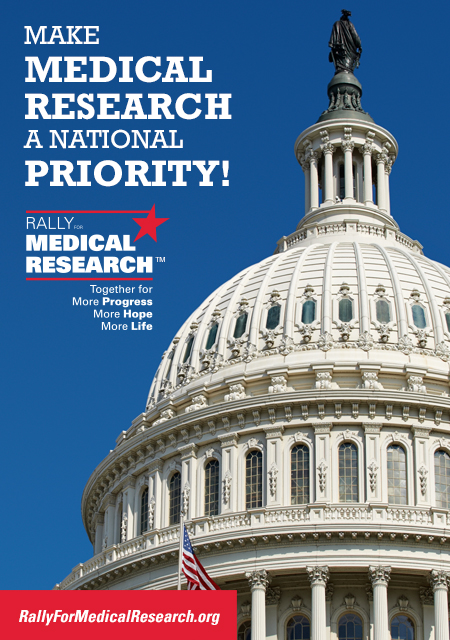 Thankfully, the Senate has started to ask questions about how NIH sets priorities. I think the general public would agree that more taxpayer dollars should be invested in childhood cancer research. Perhaps we should leave the study of possible environmental impacts, cancer clusters, etc. to the research community at the Environmental Protection Agency and research to develop cures — childhood cancer research to NIH, the nation’s medical research agency. We have evidence that investment in childhood cancer research has changed the picture dramatically for childhood leukemia, but according to NCI’s own study, childhood leukemia accounts for less than one-third of childhood cancers. It is undeniable that the lack of research in all childhood cancers leads to pain, suffering and all too often a death sentence for kids. In Part 3 we pursue legal requirements for demonstrating results, transparency and setting priorities. Stay tuned ……….